We start our new Release Countdown! 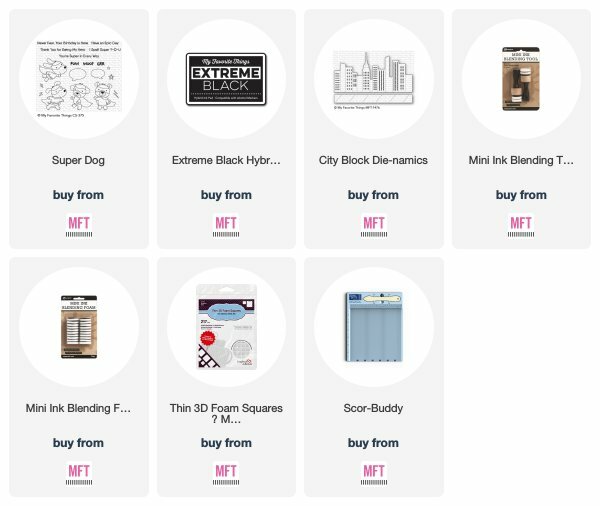 We have a loooot of new cool products and I'm sure you will like them! 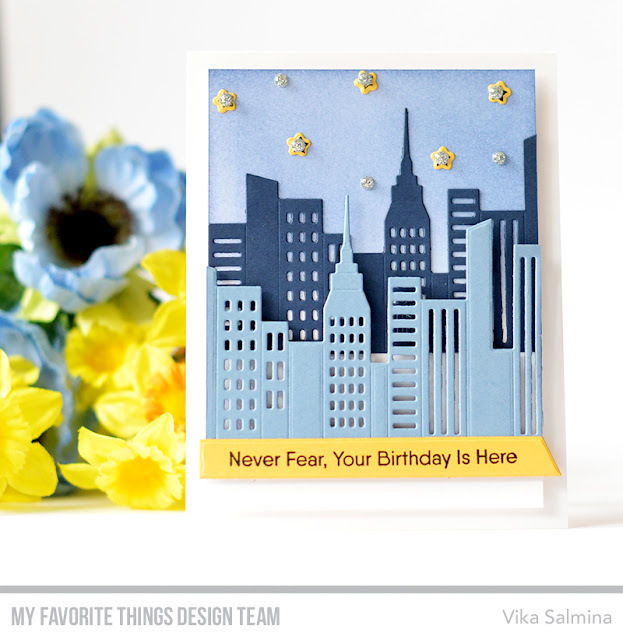 My first card with new cool City Block Die-namics. I looove this die and I hope to see all your creations with it on our Instagram! cute! I love the city scenes! 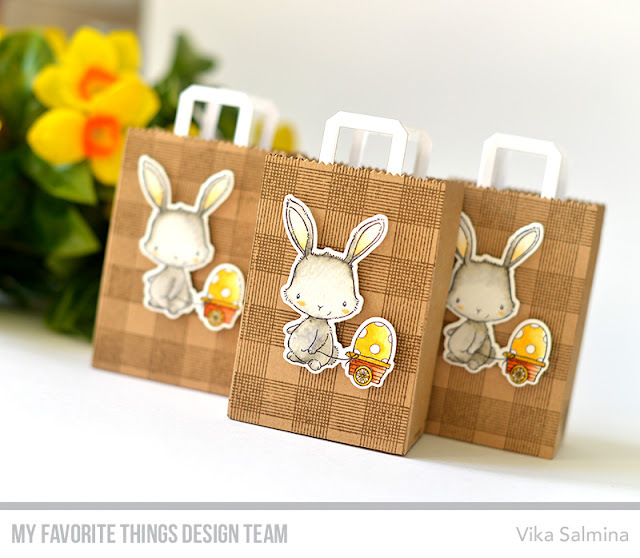 Great use of the skyline die. Thank you for the inspiration. I like how you double-stacked the city dies, to make an even bigger city! Love the 2 layers with 2 colors! Love the use of the two different blues! Great use of the city die doubled to make a unique beautiful Birthday card simply! Very cool die and card. I like how you doubled up the die and used different colors. Love this die! And the sentiment is really quirky. 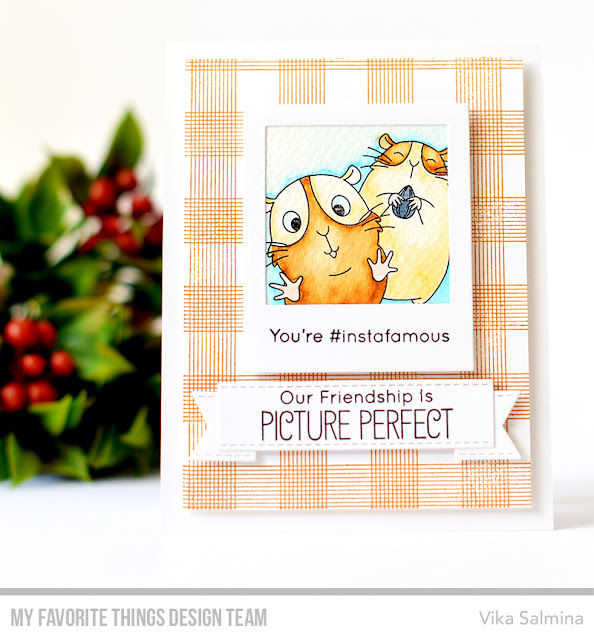 Your colors are fantastic on your card Vika. Great way to showcase the cityscape die! Thanks for sharing with us. So soft and tranquil. I love the colors and the design. Great card.